Treasury has warned that the Road Accident Fund represents a potentially large liability, and the 30c/l increase in the levy earlier this year may not be enough. The levy was upped in late February from 163c/l to 193c/l. The RAF is a state-owned entity that provides compulsory cover for users of SA roads against injuries or death arising from accidents within SA. According to Treasury's medium-term budget policy statement, tabled before Parliament by Finance Minister Tito Mboweni on Wednesday, the fund's liability is expected to grow from R206bn currently to R393bn by 2021/22. "The RAF will require further large increases to the fuel levy in each of the next three years to manage the short-term liability," the policy statement read. It did not say by how much the RAF levy may increase. If the levy is raised, it will likely be announced in the main 2018 Budget. Treasury named the RAF among five other state-owned enterprises which present a fiscal risk. In August, Treasury told the Standing Committee on Appropriations that the RAF's claims outweigh its income, compromising its ability to pay out claims. 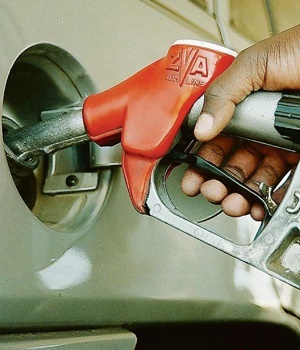 The petrol price is at an all-time high at R17.08 per litre in inland provinces. Government intervened in September, limiting fuel hikes to 5c/l given consumer pressures.